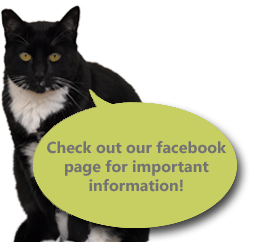 At Lone Oak Veterinary Clinic, our doctors use laser therapy to treat a variety of injuries and illnesses your pet might be experiencing. This treatment can also increase your pet's joint flexibility and relieve any joint pain your pet might feel, especially in their senior years. 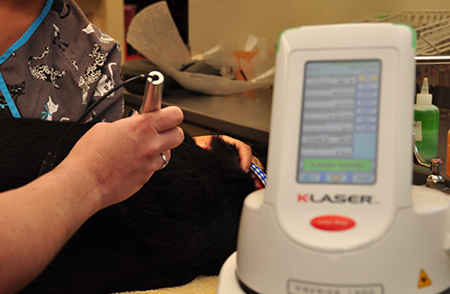 Laser therapy is a new, non-invasive, and painless therapeutic treatment offered for your pet. laser therapy has been scientifically proven to be successful in treating post-surgical pain and many other conditions such as arthritis, back pain, and inflammation. This treatment has offered a new lease on life for countless senior pets suffering from arthritis and degenerative joint disease. Laser therapy uses a beam of laser light to deeply penetrate tissue without damaging it. It induces a biological response in the cells, which leads to reduced pain, inflammation, and increases the speed of healing. Most laser therapy treatments take just a few minutes.